Driveway gates, when in good condition, are the stalwart protectors of your home that you can rely on to provide safety and security to you and yours while adding a certain level of convenience and comfort to your home. Though like all other appliances in your house, they are subject to damage from a number of sources over time. 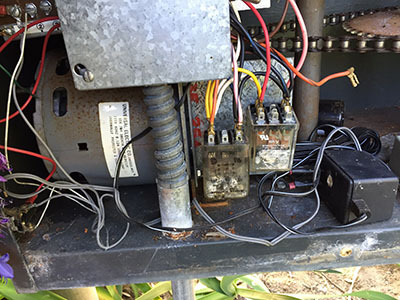 For this reason, it is essential for every home-owner with one to ensure that they have a reliable gate repair technician on hand at all times. The smaller components on your gate that are responsible for its smooth operation and structural support can take strain from their duties over time, making it possible for hinges to fail and wheels to seize up, making it all but impossible to operate the gate properly. When wear and tear take its toll on your gates, have them restored by replacing and lubricating the wheels or repairing your hinge’s welding. Your driveway gate’s opener, which is the heart of its operation, can also take strain from the wearing down of moving parts which operate under extreme friction. This can compromise the effectiveness of the motor and even lead to further damages until the gate cannot be used. When this happens, have it repaired or if need be, replaced, by a technician with the experience to do it correctly. If your driveway gate at home has been showing any signs of trouble, or has completely stopped working, contact one of our technicians at “Garage Door Repair Cresskill” for a quotation or information. We fix intercoms, gates and openers of all types and will get your gate up and running by the end of the day! Call now and let us know how we may be of service!